Monday starts pre-planning. I’m excited. I love school. I love new beginnings. As I am getting myself ready, I’ve been thinking about the first week of school. As I looked over my syllabus, the traditional first day “activity,” I paused. I’m excited and I want students excited, but yet I’m starting with something that is so boring. I thought about things we’ve all heard about the beginning of school: don’t smile until Christmas; the first day of school doesn’t matter anyway; and start super strict so the kids will be bearable at the end. I don’t want to ever spend a day without smiling. I have a lot of learning and growing and reading and writing and thinking I want my students to do, so every second counts. As for being super strict, I don’t think that promotes the collaborative environment I want to build. I want to teach rituals and routines instead of a massive list of rules. So I began to think: what did I want in my class that I can begin on day one? I want them to learn how to have a class discussion like the adults they are becoming (Turn and Talk had a great blog on sorting out talk). I want them to learn how to be curious and generate questions. 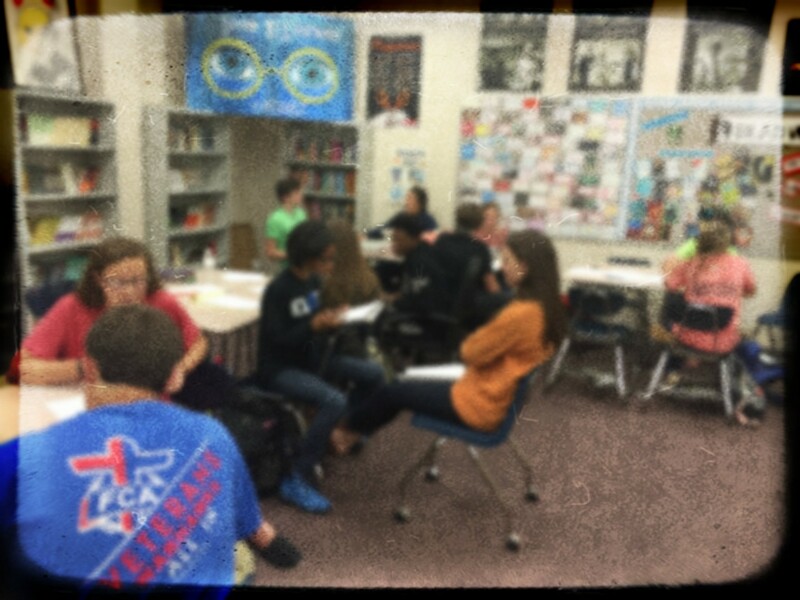 I want them to take ownership of the class and our learning. Students are going to have a discussion on what they expect to learn in the class, what they would like to study, what rituals and routines are important, and what questions they want answered about class. I will probably have them discuss in small groups or do a version of the Post-It Walk (#7 on Unleashing Reader’s Engaging Classroom Discussion Techniques). Also, I cut my syllabus down to just what was absolutely necessary–a feat since my syllabus was rather lengthy. Instead I am going to create something on my webpage for students to do with their parents while introducing the other pieces in class at the appropriate time. I also think I will s hare a children’s book, such as Kobi Yamanda’s What Do You Do With an Idea? 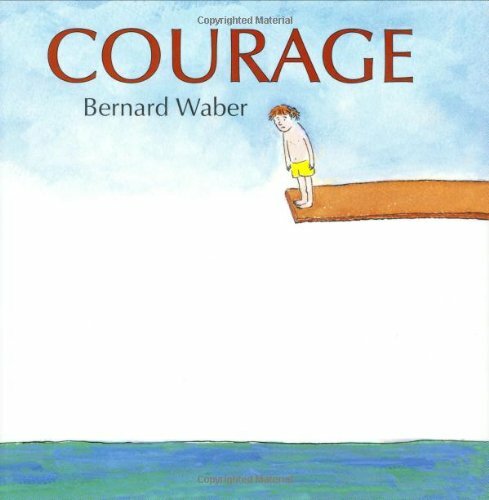 or Bernard Waber’s Courage, and do a quick write. I’m not sure how this will pan out, but, at the very least, we won’t be reading a syllabus for six periods. And, perhaps more importantly, they will know that their voices are important in this class and we will begin the journey of helping them find, refine, and strengthen those voices on day one. Bonus Read: One of my favorite reads this week was about the Five Truths of Reading posted on Blogging through the Fourth Dimension. It was beautifully written while powerfully showing the urgency needed for embracing these truths in our classrooms.